Last summer, more than 260,000 non-native salmon spilled into the Puget Sound due to Cooke Aquaculture’s net pen collapse. This was the fourth salmon spill since 1996. This salmon spill is a prime example of the dangers of industrial fish farming: Entering into a non-native ecosystem, these salmon pose the risk of crossbreeding, introducing illnesses, and competing for resources with native wildlife. But corporate profits suppress the impact of net-pen collapse on local ecosystems. 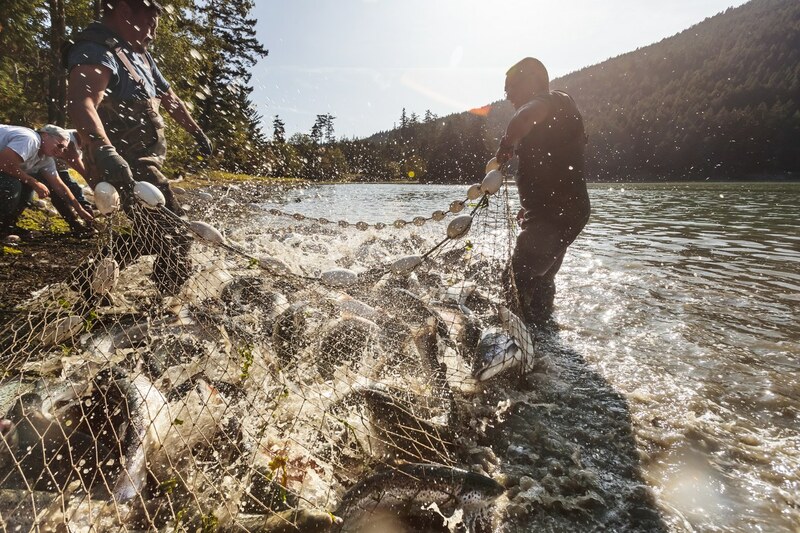 Following its disastrous salmon spill, Cooke Aquaculture was slow to respond, misstated the number of escaped fish, and incorrectly blamed the net pen breach on high tides from a recent solar eclipse. As an outspoken opponent to industrial fish farming, Friends of the Earth supported legislation banning fish farming in Washington state, rallying 2,700 people to write letters of concern to Gov. Jay Inslee. And Washington listened. Friends of the Earth is thrilled that Washington joins California, Oregon and Alaska in ridding this dangerous industry from the West Coast. We will continue to expose this dirty industry for what it truly is as we continue to demand cleaner waters and safer practices for all.